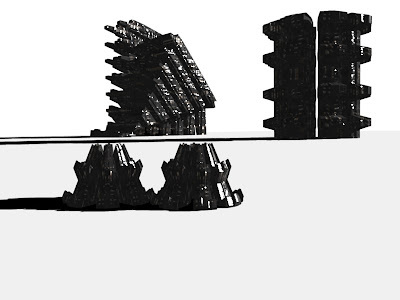 Alex Sherman has come up with some concept art for the city in Clonehunter. Wow. I'd been presuming in this picture that we'd never see the whole city except in wireframe but these buildings look like nothing I've ever seen before. I think they're amazing.